One of the most hated skin conditions with African Americans is skin discoloration. This can occur in many ways such as spotted, patchy or in an overall area. When this happens it can be very uncomfortable to the individual. If you suffer from skin discoloration, as an African American, you can face may challenges when trying to find a solution to this problem. 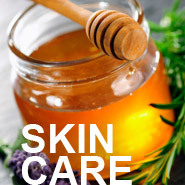 Many dermatologists might treat your skin as they would any other nationality. But this is impossible due to our unique skin and all that comes with it. There are many causes for skin discoloration such as: burns, infections, allergies and other deficiencies, hormonal changes, birthmarks and even some aspects of skin cancer. These cause can have an effect on everyone, but it has a unique effect on African Americans. Here are some ways to treat African American skin discoloration naturally. Natural Sunscreen - While it is true we are the most melanated people on the planet and "black don't crack", it is just the same that we need to protect our skin at all times. And yes this means using a sunscreen protectant. You want to find a good sunblock that is particularly created for black skin that will keep your skin moist, and protect it from harmful sun rays. Sun damage is not to be taken lightly, simply because it can be almost impossible to come back from. You can use these mixes for making a face mask or for a full body wrap. They are inexpensive, fun to experiment with and will have your skin looking and feeling smooth and even from head to toe. Food and Vitamins (internally) - What you put into your body will be reflected on the outside. How your skin looks can be a dead giveaway of what you're putting into your body. If you're putting healthy food into your body and drinking plenty of water, your skin will reflect that. If you're consuming junk food and sugar packed juices on a daily basis, your skin will reflect that as well. It's important to consume fresh fruits and vegetables on a consistent basis when treating skin discoloration. Fruits like grapes, pineapple and kiwi are good for keeping your skin hydrated which is important for that healthy glow. Vegetables like kale, spinach and broccoli contain essential vitamins D and E which also contribute to your glow and the evening out of your skin tone. Water - As mentioned above, water is extremely important for your African American skin. Water is vital for your skin's hydration as well as an overall even skin tone. when you include 8 to 10 glasses of water a day along with fruits, vegetables and external care, it can make the maintenance of even skin tone much easier. Water is the key for helping to eliminate toxins from the body and circulate the blood properly, all of which play a part for treating skin discoloration. 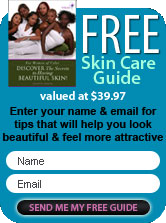 Treating African American skin discoloration naturally can require a bit more effort than going the artificial route. But if this is something that you suffer from, your skin and your body will be glad you did it this way in the long run.